These lil guys are U15/20 count shrimp, meaning there are 16-20 shrimp per pound. 26/30, 31/40 and 41/50 are other shrimp count examples. This recipe is SUPER quick and easy to prepare creating for a supremely impressive + festive weeknight supper. Because the guacamole contains more veggies than your typical store bought variety it’s lighter and filled with more nutrients. Add diced bell peppers or shredded lettuce for even more veggie power. Avocados are a fabulous masking tool, they guys won’t know the difference. The guac prep was begging for a margarita. Preheat broiler. 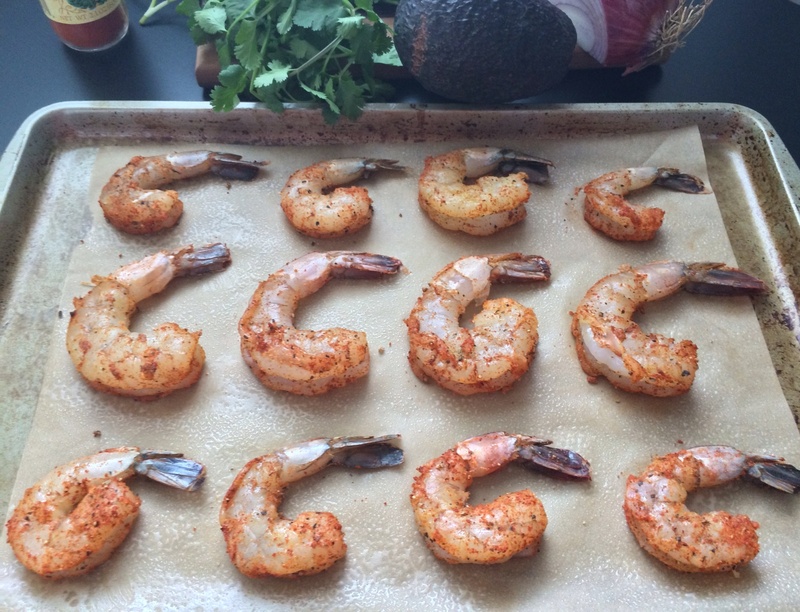 Combine shrimp marinade ingredients and place the little guys on a lightly greased baking sheet. Broil for about 8 minutes or until opaque. 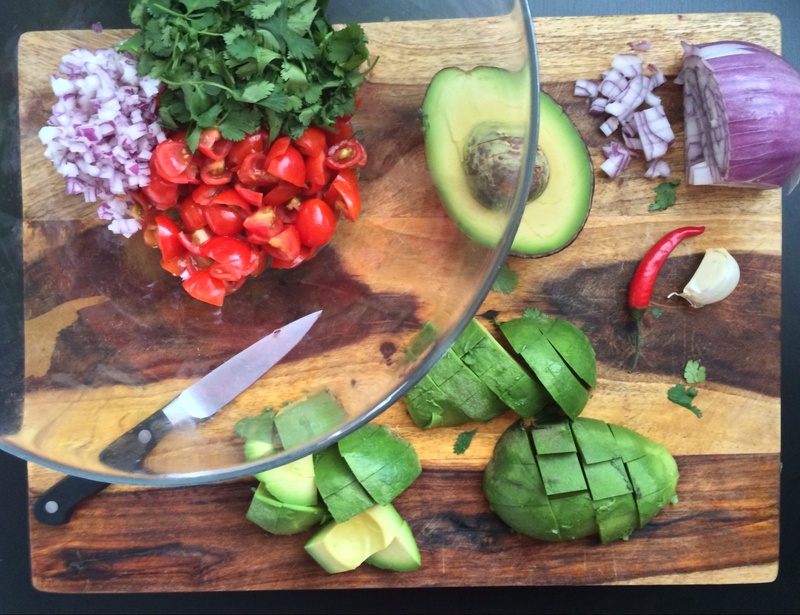 Combine all guac salad ingredients. 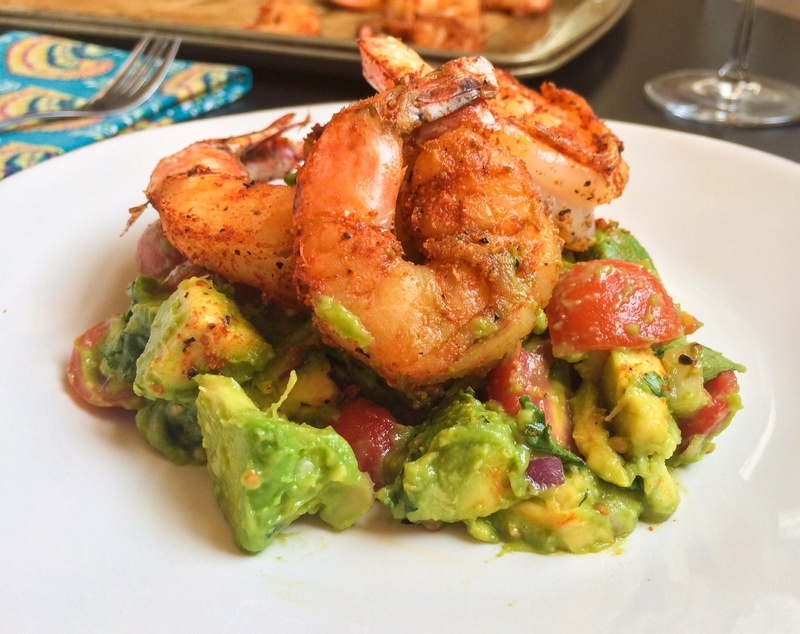 Pile the shrimp onto a scoop of the guac salad and have at it! TIP: A white, substantial fish (a la mahi maui) makes for a great shrimp substitute. 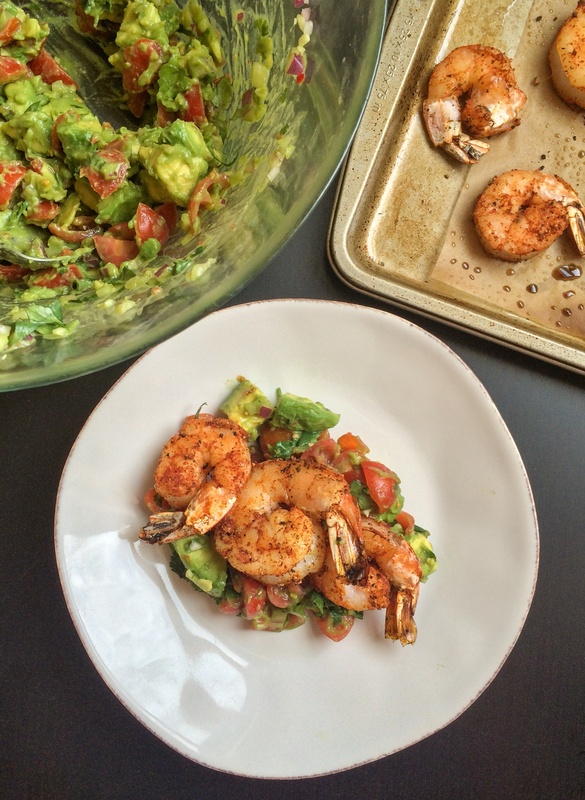 You can also serve the guac salad on its own with endive spears, carrots or tortilla chips. In twenty minutes this can be yours. Enjoy! Ready for it’s close up.